Junk Food Vs. Healthy Food - Which Is More Healthier? It an age old war between healthy food and junk food. 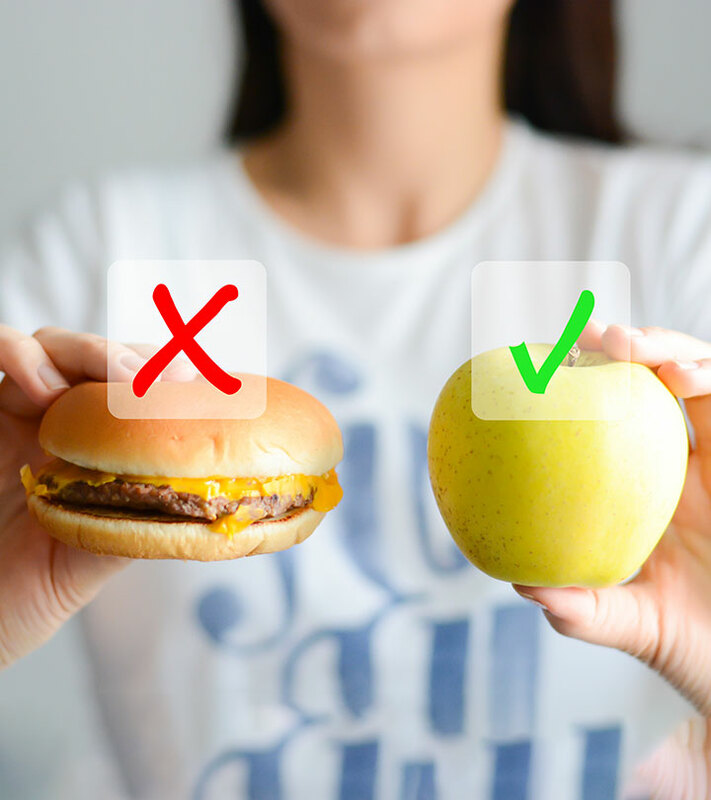 When it comes to choosing between junk food vs. healthy food, junk food has always won the race! Whether we admit it or not, although we may start off our day with eating an apple, we’ll end it with two to three slices of extra cheese pizza and coke. But why do we love junk food so much when we know that it is unhealthy for us? There are many reasons to which most of you will agree. Why We Love Junk Food to Healthy Food? 1. They are a pleasure to our taste buds. Do we get the same pleasure in eating a bowl of fruits that we get in a cheese burger? 2. Junk food is very tastier than healthy food. Yummy cheesy sandwich vs. a bowl of seasonal fruits; a war is going on in your mind…which one will you choose for your snack? Sandwich always wins. 3. 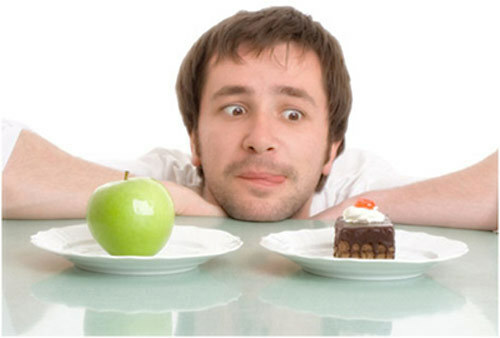 Temptation plays a very important role when it comes to choosing junk food over healthy food. The melted chocolate dripping out of chocolate fudge is more tempting than an apple. 4. Another reason for junk food craving is the mood. It has been noticed that when you are overtly stressed you crave for sweet junk food like cakes, pastries, brownies or chocolates. But does junk food do any good to us? It may satisfy our taste buds and fix our hunger pangs to certain extent but what about the pounds of fat that is adding on your waistline? 1. Junk foods add to pounds and pounds of weight. That’s the reason why so many of us suffer from weight problems these days. 2. Have you ever thought about the nutrition factor? Do you really get any nutrition from these junk foods? You may say that the veggies used in burger and sandwiches are raw, may be just stir-fried. So what? What about the cheese and different sauces? The bread is grilled with quite a lot of butter too. All these oil and grease travels through your blood vessels blocking up your arteries gradually. The result being poor health after some years. 3. Fried junkies like chips, pakoras, french fries will satisfy to a great extent when eaten, but what about the nutrition. These foods being over-fried foods have left behind all the nutrition where it had been prepared. What you get is all grease and calories! 4. The high calories in junk food not only lead to absurd weight gain but also your ability to produce insulin weakens. Hence diabetes. And diabetes means more hunger, more junk foods. The list includes cookies, chips, biscuits, donuts and breakfast cereals. 5. All packet and fried foods are rich in trans-fat. This is the worst kind of fat that results in a number of chronic diseases. 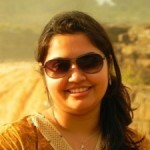 This type of fat is the main culprit for a variety of heart diseases. 6. Junk food being low in fiber content also results in high blood sugar and high cholesterol. 7. Junk food also contains added colors and preservatives, artificial sweeteners which might not be properly tested. 8. Pregnant women who feel hunger pangs quite frequently often indulge in a lot of junk foods like potato chips, ice-cream, candies, aerated drinks and what not. During pregnancy what you need most is a lot of nutritious food rich in proteins, calcium, minerals, vitamin and omega 3 fats. But these processed packet foods are generally high in trans-fat, calories, sodium and hydrogenated oils. Remember the food you are eating is affecting the growing fetus inside you as well. Moreover if you are suffering from high blood pressure, the sodium content in these foods will shoot up your blood pressure level which is not good for your baby. 9. Gorging continuously on junk foods will lead to a high BMI (body mass index). Doctors say that if your BMI is below 18.5, you are underweight, if it is ranging between 18.5 and 24.5, you have a normal weight, if it is between 24.5 and 29.5 you are overweight compared to your height, and if it is 30 and above, you are overweight; time to consult a doctor. So what do you think about junk food now? Are they worth eating? Absolutely not. But still we eat…. and keep eating. 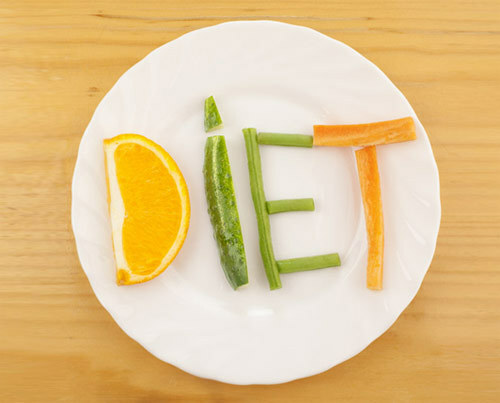 Now that we know why not to eat junk food, let’s see why it’s time to switch over to a healthier diet! 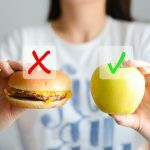 Was this article on junk food vs healthy food useful? Do share your feedback with us in the comments section below!